Explore the highlights of western Europe, including Rome, Florence, Barcelona, the Swiss Alps, Munich and Paris! This 17-day trip covers Europe's most iconic countries, including Italy, Germany, Switzerland, France and Spain. Start in the heart of Italy, and gradually work your way west and north. Take a train to the renowned Jungfraujoch in the Swiss Alps. Wander around the world's smallest countries, Monaco and Vatican City. Even marvel at the official residence of the Prince of Liechtenstein. With plenty of free time in cities like Barcelona, Paris and Rome, this trip is created for adventure. Please note this tour forms the second leg of our Ultimate Europe tour. 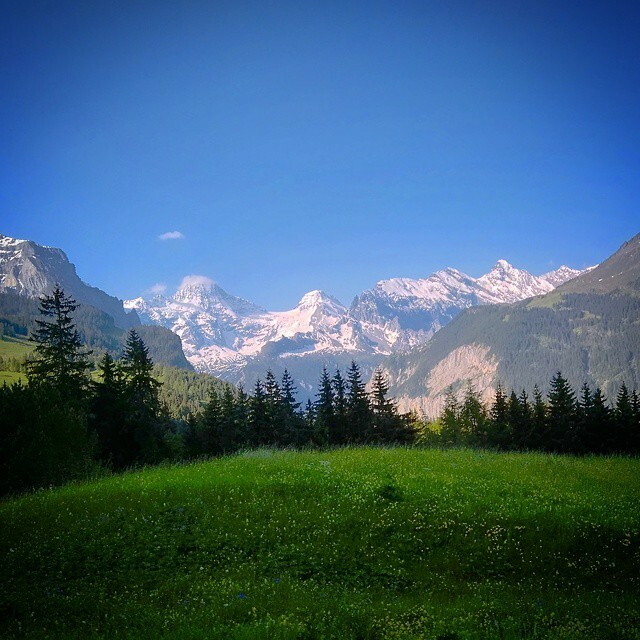 a trip to Liechtenstein (one of the smallest countries in Europe), a cruise of the Rhine River, a trip to the Leaning Tower of Pisa and many more! 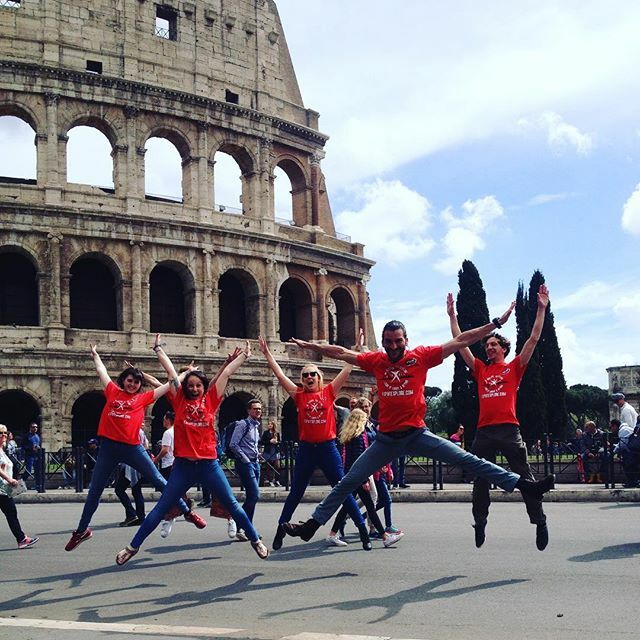 Arrive in Rome, and make your way to our starting hotel where you will meet up with the rest of the tour group (click here for more information). Later, a local Roman guide will introduce you to the locations which make this city so beloved and famous, on an evening walking tour of the city. The Spanish Steps, Pantheon, Piazza Navona, Roman Forum and the Colosseum...just for starters! Whilst at the Trevi Fountain, toss a coin over your shoulder; legend has it, that you will return to Rome again one day. On the way back to our accommodation for the evening, you can start to plan what to do with your free days. Rome has so much to see and do we can’t list everything here but your walking tour of Rome with a professional local guide will give you a great start for further exploration in your free time. You will see the Colosseum, Roman Forum, Arch of Septimus Severus, the Trevi Fountain, the Pantheon, Piazza Navona (Fountain of the Quattro Fiumi) and the Spanish steps. Today is a free day for you to experience Rome's ancient history, exquisite culture and delicious food - we offer an optional food tour and an optional excursion to the pope's summer residence. Later this afternoon you'll also have the opportunity to visit the Vatican City - the smallest country in the world! Inside the walls, you can visit the Sistine Chapel and see for yourself the famous ceiling painted by Michelangelo, as well as numerous other famous art pieces dotted around the buildings. Another free day in the capital to explore as you wish. You can accompany your tour leader on an optional excursion to Pompeii, or visit the spectacular Colosseum, which offers an unbelievable feeling of drifting backwards in time, to when gladiators, chariots and lions dominated the arena. The Italians believe in taking it easy, so why not chill out at a trattoria with some tasty morsels, a cold beverage and some good conversation this evening. This morning, travel through the Tuscan countryside and drink in the magical landscapes on the way. The next destination is the Tuscan capital, Florence. Upon arrival, head out for an orientation tour on foot. See the some of the most iconic attractions: the Cathedral of Santa Maria del Fiore, Ponte Vecchio, Piazza della Signoria and the replica of the statue of David. After the tour, find out more about Italian leather at a local leather shop. Tuscany is one of the leading areas in Italy in terms of leather production. 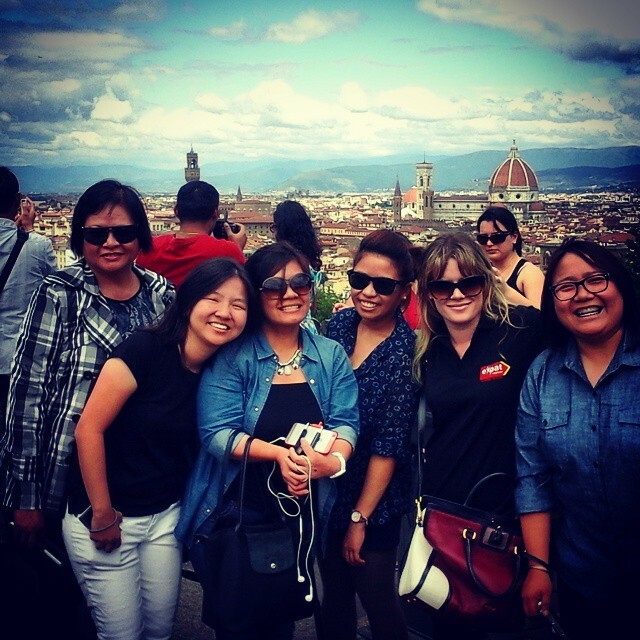 Explore the city with free time over lunch, before we make our way to the Tuscan countryside where we'll stay tonight. Before saying 'bonjour' to France you will spend some time visiting one of the most iconic landmarks of Italy - the Leaning Tower of Pisa! A UNESCO World Heritage Site, along with the neighbouring cathedral, cemetery and baptistry, this 56m, 840 year old Bell tower draws millions of visitors from all over the globe, namely for one thing...To have their picture taken pretending to push the tower back up! So get creative, get into position - these snaps are always the most memorable. After a scenic drive through the last of the Italian countryside, you cross the border into France. Bonjour to the French Riviera! Having made it to the south of France, you will see one of the most picturesque strips of coast in the world, where the ocean laps the shore, and it’s holiday season all year around. 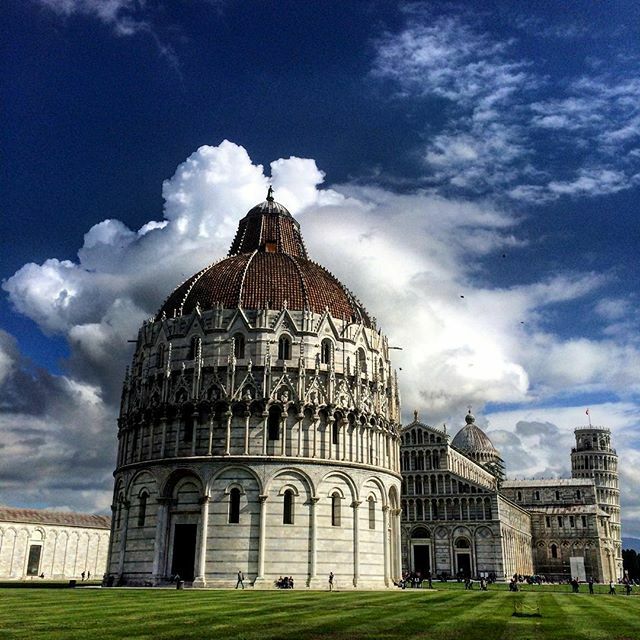 Visit to the Leaning Tower of Pisa: your chance to see the world famous Leaning Tower of Pisa and take some iconic pictures of you holding up the tower. Today you will have the morning free to explore the French Riviera. This is the playground for the rich and famous - keep your eyes open for celebrities and stars whilst you are enjoying the sights! This afternoon we'll experience the glitz and glamour of the world-famous Principality of Monaco, a microstate on the southern coast of France. On our way we'll stop at a perfumery, where you'll learn more about the history and science behind these fragrances. On arrival in Monaco we'll walk to the Princes Palace, the official residence of the Sovereign Prince of Monaco, which offers amazing vistas from a viewpoint overlooking the super yachts in the harbour. We'll then take you to visit the legendary Casino de Monte-Carlo, where you'll have some free time to try and win your fortune on the tables and slots (entrance fee not included). Visit a perfumery: dating back to the 18th century, this traditional French perfumery is one of the oldest in the region. Perfume making is an art that dates back to antiquity and during your guided tour you will learn all about the complex processes involved in capturing and bottling these exquisite scents. Afterwards you will have the opportunity to visit the gift-shop if you wish to take a keepsake home. 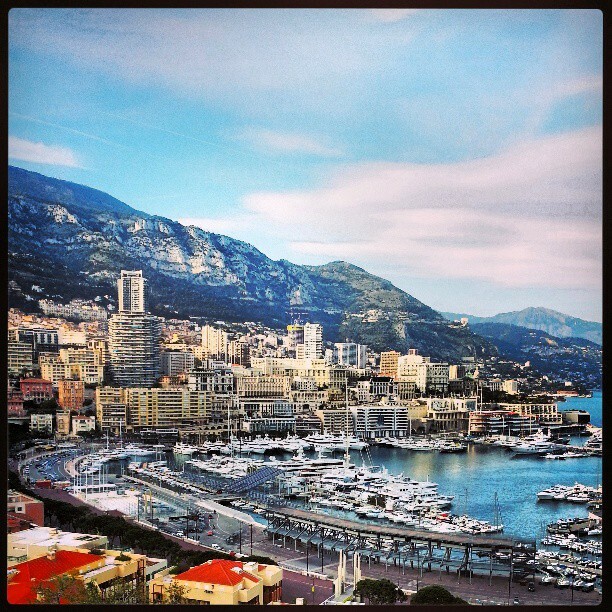 Monaco: visit this tiny principality and the second smallest and most densely populated country in the world! Take a scenic coastal drive from Nice, stopping first at a viewpoint for stunning views over the harbour, where super yachts are anchored. The Grand Casino (entrance fee applies) is particularly spectacular, and the castle district offers beautifully preserved architecture and views of the coast and city. Time to brush up on your Spanish greetings - you will need them this afternoon! As you depart Nice and get back on the road headed for Barcelona, you will make a stop in the UNESCO Heritage Site of Arles, famous for its historical buildings and links to such artists as Van Gogh (many of his paintings were inspired by this city). Don’t forget to check out the colourful houses and Roman Amphitheatre on this comfort stop. Barcelona is nearing, and you should be getting excited about exploring this cosmopolitan Spanish metropolis. Once you arrive, Expat Explore will acquaint you with its vibrant energy with a city coach tour, so you can decide where to start first on your free days. Keep your eyes open for the famous Sagrada Familia cathedral, and any of Gaudi’s spectacular examples of eclectic architecture. Then there is the lively La Ramblas - a pedestrian walk way down the middle of the city that is full of market stalls, cafes, restaurants and street entertainers, and is just brimming with life. The city comes alive at night, so, after dinner, head back into the heart of the action for some music and atmosphere. A comfort stop in this fascinating city with colourful houses that you may have seen in many of Van Goghs’ paintings of Arles. You will have time to see the impressive Roman Amphitheatre. A driving tour of this vibrant and diverse city that you can then explore further in your free time. You may see La Monumental Bullring, Sagrada Familia, Casa Batllo, Joan Miro Park, Fountain of 3 Rivers, The Venetian towers, Magic Fountain, Poble Espanyol (Spanish Village), Olympic stadium, Port of Barcelona, Christopher Colombus Column, Las Ramblas, and a photo stop with views over the city. Today is all yours to do with as you please! The best views of the city can be had from Park Guell, and you can take in the panoramic splendour and skyline of Barcelona. The park itself offers a very interesting design which is a product of Antoni Gaudi’s challenging architectural visualisations. Barcelona is home to many of Gaudi’s building designs and you could spend the whole day simply locating each one and recognising the signature design features. One of his most famous works is that of the unfinished Sagrada Familia - an interpretation of a gothic cathedral which is unlike any building you will have ever seen. You can’t miss it from Park Guell, or most other vantage points in the city. If you wish to participate in our optional excursion, we can organise tickets for you to see a traditional Flamenco show! The dance of passion is performed with style, flair and energy, and is a real experience not to be missed. Hola! You have another free day in the Spanish city of Barcelona! Today you can make this your own, by continuing to explore the historical and cultural centres, indulge in some high end shopping and retail therapy, and much more. Football fans can use the extra day to visit Barcelona FC’s stadium - Camp Nou (there may even be a game on while you are here). Why not take advantage of the beaches and hit the shores? Ocean tours depart from the harbour and take you for a cruise up the coast to give you a unique perspective of the city. Barcelona is full of things to do, so there is no excuse not to get out and make the most of things. Fiesta, not siesta! Adios, Barcelona! You have been wonderful! Heading back into France, continue through the French countryside, and get up close and personal with a 2000 year old Roman Built aqua duct, at Pont du Gard. Walking along it, you will notice that there are no nails, cement or mortar holding the arches together. The Pont du Gard has been an attraction for centuries, primarily based on its immaculate three tiered construction, which carried over 44 million gallons of water a day to the local townships. A very important historical site, UNESCO have included it in their heritage listing - and rightly so. Your final stop of the day will be in Avignon - also known affectionately as ‘The City of Popes’. It is an amazingly preserved, fortified city commune with a long history, stunning architecture and religious significance. Another UNESCO Heritage Site; and you will see many more during your tour. Enjoy an orientation walking tour of Avignon, which will show you the Papal Palace as well as other significant structures, and, after dinner, your evening is free to explore as you wish. 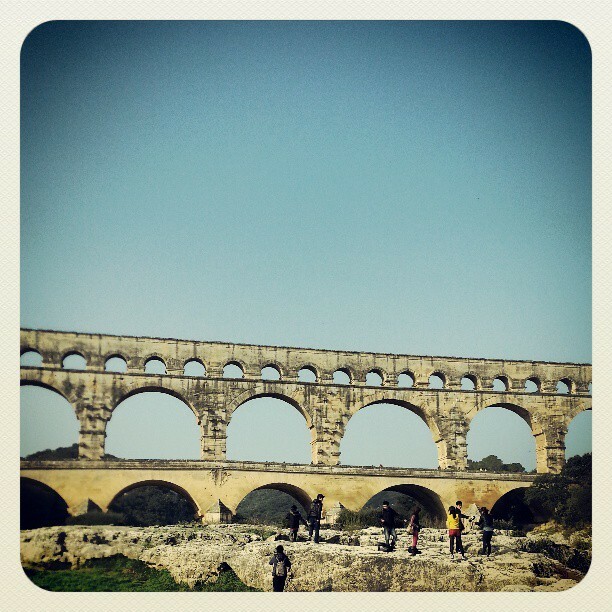 A stop to see Pont du Gard, an ancient Roman aqueduct bridge that crosses the Gardon River. The bridge has three tiers of arches, stands 160 ft tall, and once carried 44 million gallons of water a day to the fountains, baths and homes of the citizens of Nîmes. Your tour leader will take you on a short orientation walking tour where you will see the Palais des Papes, the old Avignon town walls, Notre-Dame des Doms and Pont d’Avignon. 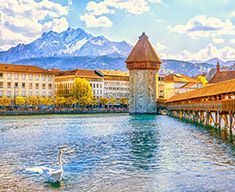 Today, you will head to Geneva - home of the United Nations and Red Cross headquarters, and then onto the spectacular Swiss Alpine region to fill your lungs with the freshest mountain air. After departing Avignon, we leave France behind in search of mountains and snow. On the way, we make a lunch stop in Geneva where you can wander the small city centre and marvel at Lake Geneva. There is also an Old Town to explore, and some great shopping to be had. Now you are mountain bound, and heading into the heart of the famous Jungfrau Region. We take you on a stunning mountain drive through the Swiss Alps, as we meander our way through rugged mountain faces, forests and Alpine lakes. Once in your mountain village, you can check in and then relax with a sunset view of the mountain peaks, and the grazing cows that are responsible for the wonderful milk that makes Swiss chocolate so amazing. After a hearty dinner, feel free to stroll the streets and breathe in that crisp, fresh air. Tomorrow will be a real highlight of your Europe tour. The birthplace of the Geneva Convention and renowned for its place at the forefront of international diplomacy, it also has the largest lake in Western Europe, Lake Geneva. So maybe have lunch by the lake, or even a swim! Alternatively, you could walk towards the Old Town to climb the tower of St Peter’s Cathedral which offers gorgeous views of the city and the lake. Spectacular views as we drive through this amazing country alongside lakes, breath-taking mountain vistas and scenic views of quaint Swiss towns. Are you excited? Today is all about Swiss bliss! We have an optional excursion to blow your mind, which offers a guaranteed snow day! 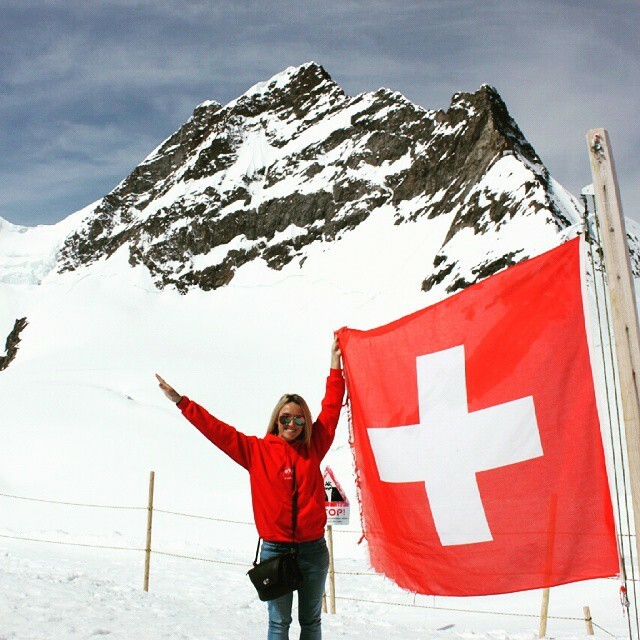 For 365 days of the year, Jungfraujoch is blessed with snow, and today you can visit the ‘Top of Europe’. The journey up the mountain is a highlight in itself, with unmatched views that will really make your Europe tour unforgettable. You will alight onto Europe’s highest railway station, and be able to view the 4000m glacier from un-obscured viewing platforms. The majestic combination of ice, snow, rock and epic views will stay with you for life - time to take a deep breath and have some fun! A snowball fight is a must, and for those artistic types, so is a snowman building competition. Snow angel anyone? Don’t forget those cameras... say “swiss cheeeese”! Alternatively, for those choosing to spend their free day exploring a local village, why not head to Interlaken, a short train ride away, and try a traditional fondue, pick up some Swiss souvenirs, or just enjoy a wander through the streets? So long, Switzerland; you will depart the Jungfrau region, and savour the last of the Alpine views as you head once more for Germany. A lunch stop is scheduled for Vaduz, the capital of Liechtenstein, and you will have time to eat, shop and see Vaduz Castle (the official residence of the Prince of Liechtenstein) overlooking the city. We then travel on to Munich. Enjoy a local beer on us...Prost! At the end of an action packed day we'll continue on to our hotel in Bavaria. Visit the smallest yet richest German-speaking country and the only one to lie entirely within the Alps. So you will see fabulous mountain views and a lunch stop in the capital Vaduz where you will have time to eat, shop, and see the Vaduz Castle which overlooks the capital. The castle is a palace and official residence of the Prince of Liechtenstein. 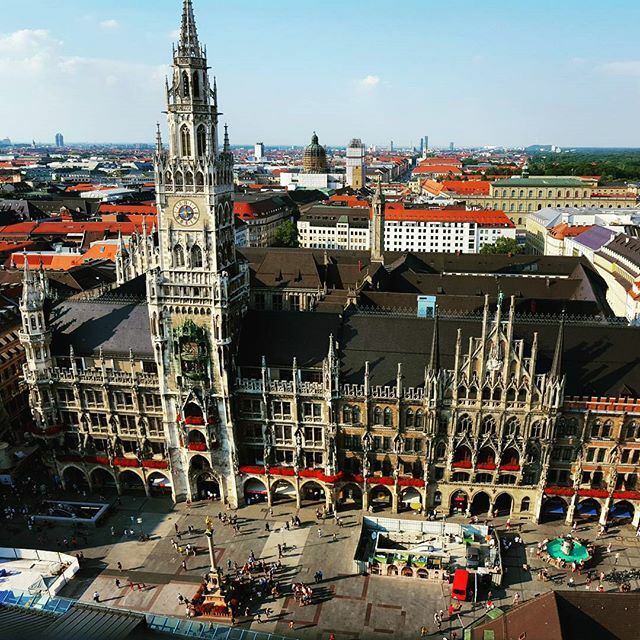 Your tour leader will take you on an orientation tour of Munich, the capital and largest city of the German state of Bavaria. 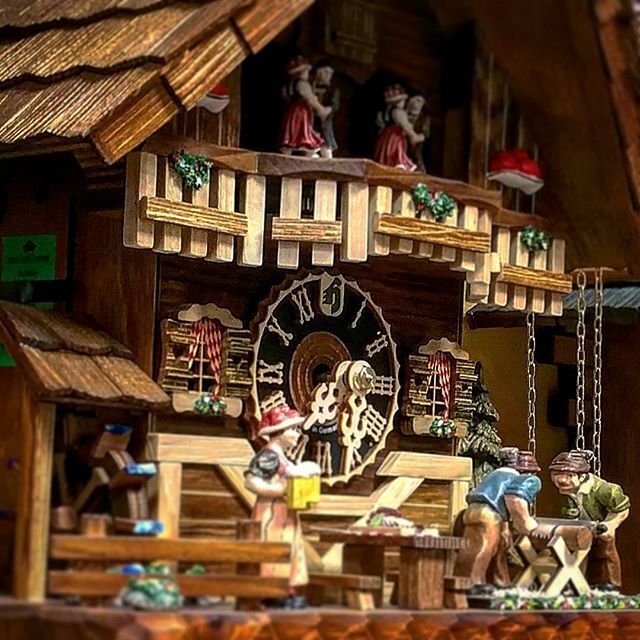 You will see Karlsplatz and Marienplatz, New Town Hall, Church of our Lady, and if you visit in the winter the traditional German Christmas markets. We take you to visit a traditional beer hall and sample some German food and drink, including famous German sausages (vegetarian options available) and beer. It’s time to leave the Rhine... but there is no sign of slowing down - there is still so much to see! Heading back towards the French border on the way to Paris, you will make a short stop in one of Europe’s smallest countries - Luxembourg. Known as a global financial and banking centre, during your stop you may wish to view the spectacular Renaissance architecture of the Grand Ducal Palace or have an early lunch in Luxembourg’s central square. We then make our way to Paris, and take a driving tour of the French capital; get your cameras ready - you’ll be seeing some of the city’s most treasured landmarks, including the Eiffel Tower, Notre Dame and the Arc de Triomphe! After the driving tour we'll enjoy dinner at a restaurant in the Latin Quarter, an eclectic, bohemian and historic neighbourhood. We'll then travel back to the hotel on Paris' world famous metro system, ready to explore the city further on our free day tomorrow! A short stop with some free time to spend as you wish. During your stop in Luxembourg you may wish to view the spectacular Renaissance architecture of the Grand Ducal Palace or have an early lunch in Luxembourg’s central square, Place d’Armes, with its numerous cafes and restaurants. Luxembourg also offers excellent shopping opportunities from modern high-end fashion stores to traditional boutiques. 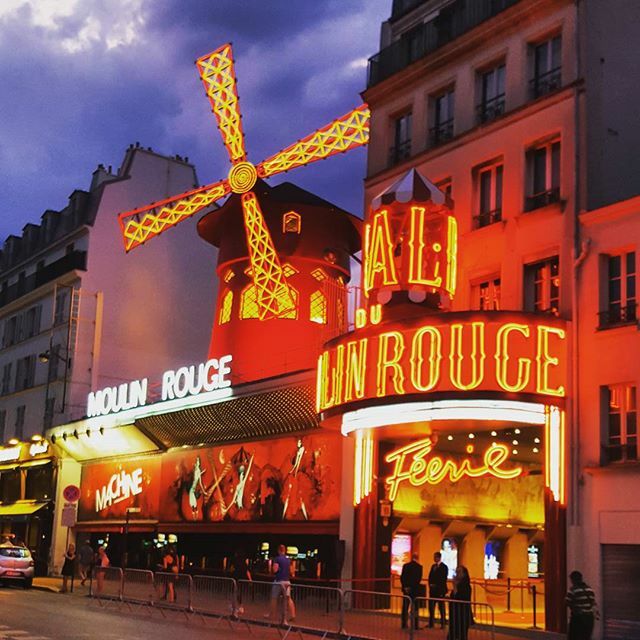 Driving tour of this famous city where you may see L’Opéra Garnier, the Tuileries Gardens, Place de la Concorde, Hotel de Ville, The River Seine, l'Ile de la Cite, the Louvre Museum, Eiffel Tower, Arc de Triomphe, Lovers Bridge, Sacre Coeur, Montmartre, Pigalle (the Red Light District) and see the Moulin Rouge. Bonjour! 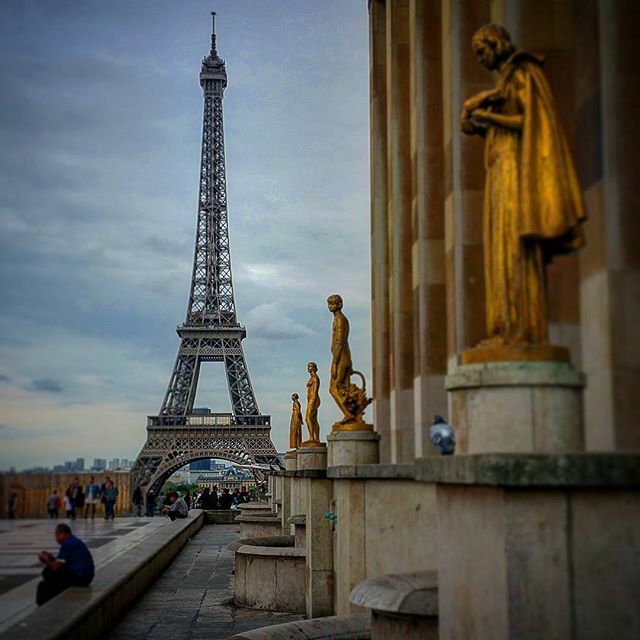 Whether it's culture, cuisine or cruising the city you crave, Paris will not disappoint. A Seine River cruise to the Eiffel Tower and Notre Dame, perhaps? Maybe a visit to the Louvre to see famous artworks and paintings? Tickle the taste buds with some traditional French delicacies in the bohemian Spanish Quarter (affordable frogs legs and snails are on the menu, washed down with a nice local wine - divine!). Not forgetting, Paris Disneyland is always popular choice for the ‘young at heart’! The last day of you European tour already? Don’t worry. It’s not over yet. After breakfast, savour the French countryside, one last time and prepare for your final crossing of the English Channel. Once you are back on UK soil you only have a short way to go to complete your Europe tour. This part of your journey is a great opportunity to swap contact details with all of your new-found Expat Explore travel companions, and tag each other in all of your photos before you arrive into London. We can’t wait for you to share your favourite snaps on our Facebook page, so we can see the highlights of your Europe experience! We hope you had the time of your life. You arrive back in London late afternoon - by this point you will have enjoyed 17 incredible days exploring the very best of western Europe! Take a guided tour around the amazing art works in the Vatican Museums and bask in the beauty of Michelangelo’s frescoes in the Sistine Chapel. 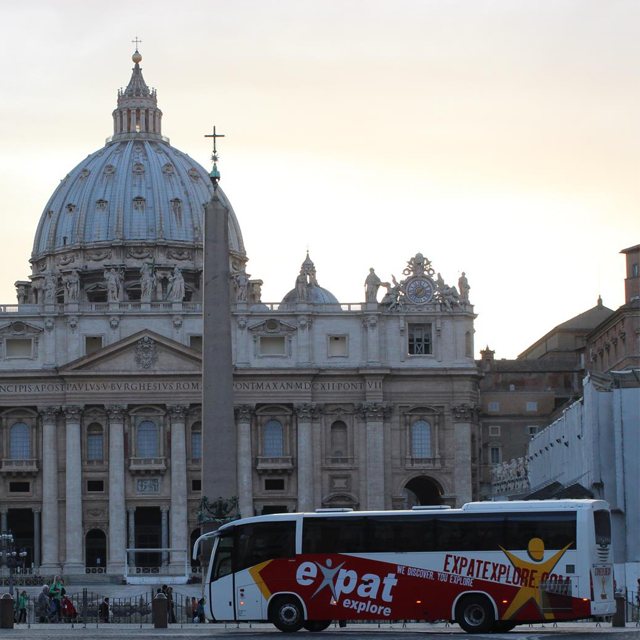 Tour includes queue jumping privileges for both the Vatican Museums and St Peter’s Basilica (if open), and services of a professional local guide. Please note: Entry to St Peter's Basilica is subject to opening hours and closures and is not included as part of our optional. However, if it is open, you are welcome to enter. Step back in time as you enjoy a day-trip to the ruins of Pompeii, one of Europe's most famous archaeological sites. The nearby Mount Vesuvius volcano erupted in the year 79 AD, burying the towns of Pompeii and Herculaneum in up to 6 metres of ash, destroying Pompeii and killing thousands of people. The thick layer of ash and pumice preserved the bodies and artefacts until they were excavated more than 1,000 years later, providing a remarkable insight into the life of a Roman city. A local guide will accompany you around this UNESCO World Heritage Site, telling you more about the history and introducing you to the artefacts and ruins on display. After an included pizza lunch we'll head back to Rome. This excursion includes return transport from Rome, lunch and entrance and guided tours of Pompeii. Castel Gandolfo is a scenic town located southeast of Rome on the Alban Hills overlooking Lake Albano. Situated here is the 17th-century Papal Palace of Castel Gandolfo, which served as a summer residence for the pope, the leader of the Catholic Church, until it was opened up for viewing by the public in 2016. Upon arrival a local guide will take us on an electric bus tour of the extensive gardens of Barberini, taking in ancient Roman ruins, ornate flower beds and oak trees. We'll then take a self-guided tour of the castle, which now serves as a museum of popery and papal history. Before we return to Rome we'll enjoy an included two-course lunch in a family-owned restaurant overlooking Lake Albano. This local food tour moves through the lesser known and more off-the-beaten-track areas of central Rome. Led by an expert Roman chef, you'll make four stops in total as you sample authentic and local food in Rome, visiting places that are hard to find without the knowledge of a local! We'll start off with an espresso tasting in a historic coffee shop, and experience why coffee is so important to the locals and what authentic Italian coffee is supposed to taste like, as well as the proper way to drink it! The tour then continues on to a prestigious bakery to try some Roman specialities before visiting a local salumeria (delicatessen) to taste exquisite cold cuts and meats. The final stop will be a classic Roman venue, where pax will be able to sample some delicious wine as well as tasting some seasonal Roman dishes. Delizioso! Enjoy a late night show on La Ramblas in the heart of Barcelona. Flamenco is a world famous Spanish folk music and dance including cante (singing), toque (guitar playing), baile (dance) and palmas (handclaps). Experience the passion, power and excitement of the performers in the vaulted nazari styled interior. The price includes the show, a buffet dinner of dishes from all over Spain and unlimited drinks throughout your meal. Certain nationalities may require a visa(s) for this tour. Please see our visas page for more information. It is your responsibility to contact the relevant embassies to confirm your visa requirements. We can provide the support documentation upon request - please contact us. Please refer to the tour itinerary above for full details of what activities are included, which meals are included and what is excluded. We would recommend budgeting €25-€40 per day (this excludes optional excursions). Please note, all rooms are twin bed as standard. Your tour starts in Rome and finishes in London. Please have a look at our essential tour help page for detailed information.